Since 1974, we have pledged a complete and progressive commitment to all of our customers. We provide graphic services, at the best value, in the shortest possible turnaround times. 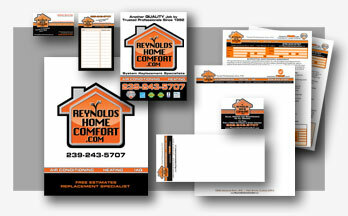 We are the largest reprographics company in southwest Florida with locations in Fort Myers, Naples and Bonita Springs. Total support, the highest quality and sensitivity to our customers’ needs are what distinguish us from the others in our industry. We propose to be an integral part of our customer’s projects by meeting ALL deadlines and never allowing quality to become secondary. Work will always be reproduced and delivered in the most up-to date, quality conscious, professional and courteous manner. 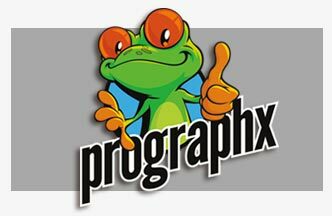 ProGraphx is our graphics division of Lee County Reprographics, Inc. and Midwest Reprographics. We offer a wide variety of services such as logo design, brochures, postcards, business cards, posters, vehicle wraps and MUCH more. I’m sure you have seen our frog around town. 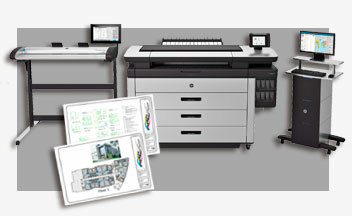 When it comes to large format inkjet printing, HP leads the market in UV printing technology. 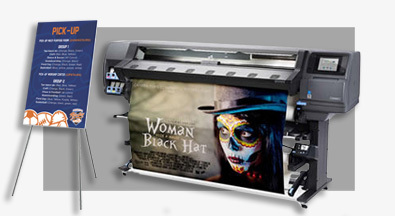 We have more than 6 large format HP printers, the most in Southwest Florida! We can print posters, banners, signs, vehicle graphics, magnetics and just about anything else you can dream up. 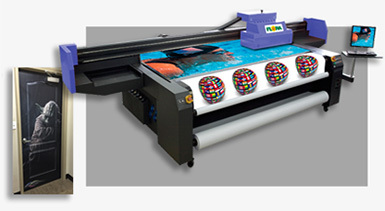 Our FLORA 2512UV flatbed printer has some amazing capabilities. 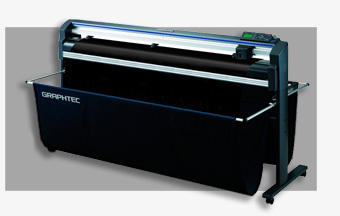 It can print using WHITE ink, can print on ANYTHING up to 4″ thick and can print up to 96″ wide! Check out the Yoda image that we printed DIRECTLY on the door! 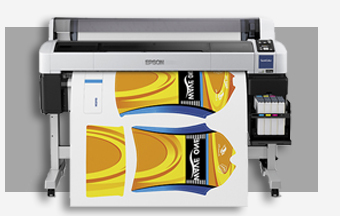 Epson Dye Sublimation printers are second to none. We print vibrant high gloss images directly on aluminum Chromaluxe panels. We also print vibrant full color T-shirts! 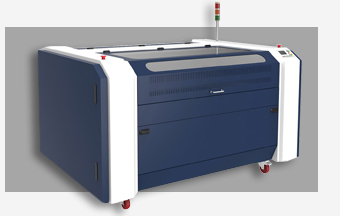 We are one of the few printing companies with a flatbed laser. We can do dimensional lettering, custom signs, etching, wood engraving and more… Laser equipment is VERY accurate and can produce detailed, intricate components with a high level of quality. Our Graphtec plotter allows us to cut our custom printed graphics out to any die cut shape or we can cut out of solid color cast vinyl! 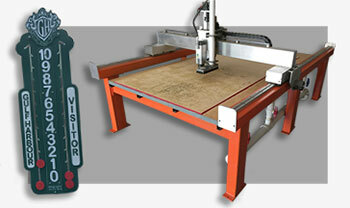 We are one of a few printing companies with a 48″x96″ custom made CNC machine. CNC stands for Computer Numerical Control. We can take a digital design file and cut it out of any substrate. Check out this cool custom tennis scoreboard created for Gulf Harbour Country Club. Business Printing consists of business related marketing materials such as business cards, brochures, flyers, presentation folders, letterhead, envelopes, order forms, calendars, door hangers, stickers, event tickets, table tents, note pads, postcards, greeting cards and much more! 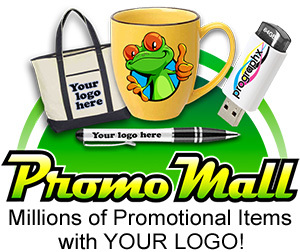 HP Pagewide is changing the Reprographics world! We have three of these HIGH SPEED printers in Southwest Florida (one in each office)! It can scan, copy or print high quality color line drawings or full color prints at a MUCH more affordable price than in the inkjet days. Prints at 30 copies per minute! Call today! Protect your investment and watch your prints come out to life! 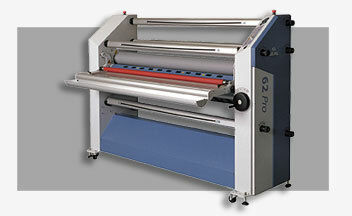 Laminating and mounting can make your color print POP and increase its durability. We can mount or laminate just about anything and any size! Our most popular combination is mounting to Gatorboard and laminating with a UV Gloss laminate. We exist to give customers a choice in superior customer service and quality. From the very beginning, we have always realized we work for our clients and their experience with us must be the best the industry has to offer. We’ll meet your every need! Visit our graphics section to learn more and view our gallery!